Although the 2015 film ‘Concussion’ was largely pilloried, it nevertheless brought degenerative brain disease into the spotlight. According to research carried out that same year by the U.S. Department of Veterans Affairs and Boston University, of the 91 former NFL players who donated their brains suspecting they suffered from chronic traumatic encephalopathy (CTE), 87 were found to have the disease. 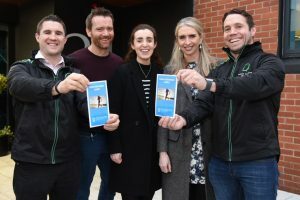 With the support of Rugby Players Ireland, Rowing Ireland, the University of Michigan and Trinity College, Dr Wilson, who is Associate Professor in the Discipline of Physiotherapy at the latter, is a principal investigator in a study that will explore brain health and wellness of retired professional Irish rugby players over the coming months. 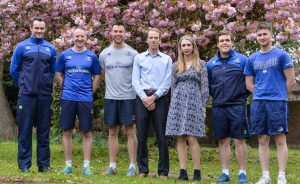 Dr Wilson has already been engaged with Leinster Rugby in exploring unique avenues to improve the diagnosis and analysis of concussion in the game. “As scientists, we need to be open minded,” Dr Wilson says. “What are we looking for? We don’t know. You should always be wary of a researcher that will tell you what they are going to find. There is definitely a slant to the media reporting in terms of what rugby is doing to the long-term health of players, especially when we do not have enough research to answer the question. Having qualified as a physiotherapist, Dr Wilson moved to South Africa before the professionalism of rugby began to take hold. Working closely with people like Evan Speechly, who was the team physio with the Springboks for several years, she developed a greater appreciation for the game and began to see the direction in which it was going. “The South African team at the time were unusual in that they were so much fitter and better prepared than everyone else. That’s why they won the World Cup in 1995. 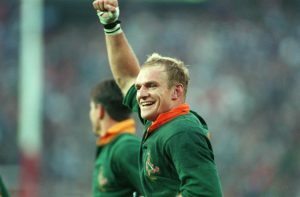 Francois Pienaar was a real leader and driving force. Physically, it wasn’t as demanding as it is now, but that team raised the bar. The game has become significantly faster and harder in the years since, but the players are also more conditioned. A lot of that is because of Pienaar and the Springboks of ’95. 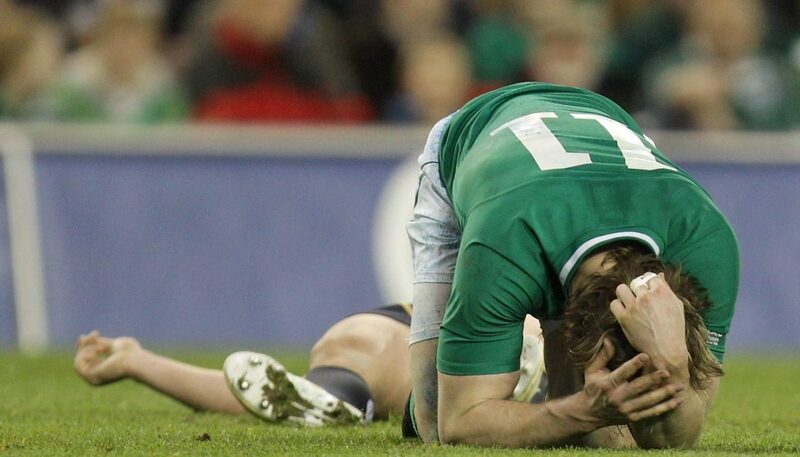 “My father was also a keen rugby player,” Wilson adds. “In another era he may have been a professional. Sadly, he developed dementia at an early age… it all got me thinking. Perhaps in both his case and that of other retired athletes who have suffered the same fate, there was always an underlying risk, but did a trauma accelerate their respective conditions? Clearly, the study is of great importance to Dr Wilson and in embarking on this project she has ensured that she has the help and support of some of the world’s leading medical professionals in this area. For instance, Dr Steve Broglio of the University of Michigan, who has played a leading role in some of the most comprehensive studies of concussion and head impact exposure, will co-supervise the initiative and provide invaluable expertise. In addition, there is the capacity to crosscheck findings with the Irish Longitudinal Study of Aging (TILDA) and other pots of information that are housed at Trinity College. Participants will be asked to complete a battery of overall health and wellness questionnaires before attending to a health screening and further tests at various locations across the country. Details of individual findings will remain confidential, however help will be made available where necessary. “From my point of view, I want to look at how the brain works as a whole – not just based on injury,” Dr Wilson states. “I want to see the effects that a lifetime of sport has on the health of your brain. The positive; the negative; exiting from the sport. I intend to do this by looking at a group that have encountered brain trauma during their careers whilst comparing them to a group that hasn’t. In this instance, retired Irish rowers. “From my experience, a lot of elite athletes struggle when they retire. It’s not an easy path. You’re in a bubble where the kind of people that are drawn to you might not have your best interests at heart. But elite athletes aren’t normal punters. Some tip the scales in terms of their cognitive skills such as processing and integration, while others may be found to have different difficulties that have gone undetected throughout their careers owing to the focus on their capacity to perform so highly in one area. “As a team physio you spend some great time with the players. You’re pitchside and you become part of the team. Working with individual guys you also get to know them very well and begin to pick up some great insights. They are happy to share things with you knowing that you’re bound by your confidentiality.